Google has dropped the bomb it's been threatening to – an open source, lightweight operating system targeted at netbooks. It'll be available on hardware from late 2010. Microsoft won't be impressed with the move, which could be a seismic change for the computing industry giving manufacturers the choice of another major operating system. 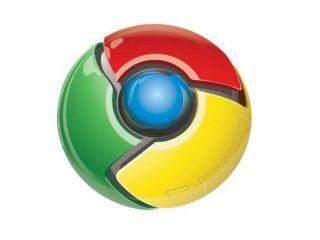 "It's been an exciting nine months since we launched the Google Chrome browser," explained Google's Sundar Pichai in a post on Google's blog. "However, the operating systems that browsers run on were designed in an era where there was no web. So today, we're announcing a new project that's a natural extension of Google Chrome — the Google Chrome Operating System. It's our attempt to re-think what operating systems should be." Google Chrome OS will run on both x86 as well as ARM chips, and Google says it is already "working with multiple OEMs to bring a number of netbooks to market next year". The company says the code will be open sourced later in 2009, with consumer availability in the second half of 2010. "Because we're already talking to partners about the project, and we'll soon be working with the open source community, we wanted to share our vision now so everyone understands what we are trying to achieve," continues Pichai. The timing won't worry Microsoft in the short term though - Windows 7 will be released in October. Google says that "speed, simplicity and security are the key aspects of Google Chrome OS. We're designing the OS to be fast and lightweight, to start up and get you onto the web in a few seconds," adds Pichai. But where does the project leave Android? Pichai explains that, too. "Google Chrome OS is a new project, separate from Android. Android was designed from the beginning to work across a variety of devices from phones to set-top boxes to netbooks." "Google Chrome OS is being created for people who spend most of their time on the web, and is being designed to power computers ranging from small netbooks to full-size desktop systems. While there are areas where Google Chrome OS and Android overlap, we believe choice will drive innovation for the benefit of everyone, including Google." Liked this? See our Google Chrome OS round-up for all the latest news and analysis on this new operating system.